As modern palates get progressively more adventurous, sake is having its moment. But as beloved as the beverage is in its native Japan, it's frequently misunderstood in the rest of the world. Author Jeff Cioletti, a certified international Kikisake-shi--a fancy term for "sake sommelier"--presents a comprehensive guide to sake that both celebrates and demystifies the traditional Japanese drink. Jeff takes readers from the United States to Japan and back, exploring sake's role through centuries of history, as well as the artisanal process and natural ingredients necessary for crafting this venerable beverage. And, the author presents his own unpretentious, uncomplicated tasting notes on a wide range of world-class brands--appealing to beer, wine and cocktail drinkers looking for new flavor experiences. 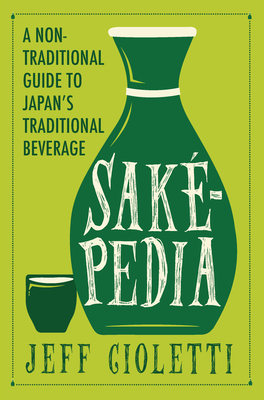 Whether you're mildly curious, a connoisseur or somewhere in between, SakePedia is the no-nonsense companion you need on your sake journey.